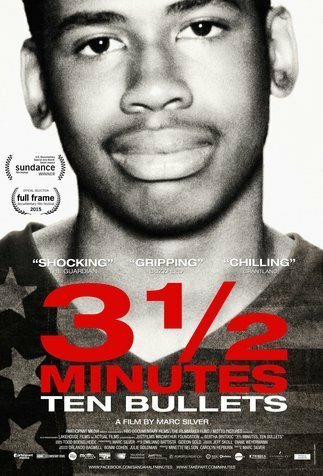 3 1/2 Minutes, 10 Bullets is a quietly devastating, award-winning documentary that tells a story no other genre nor filming style could. 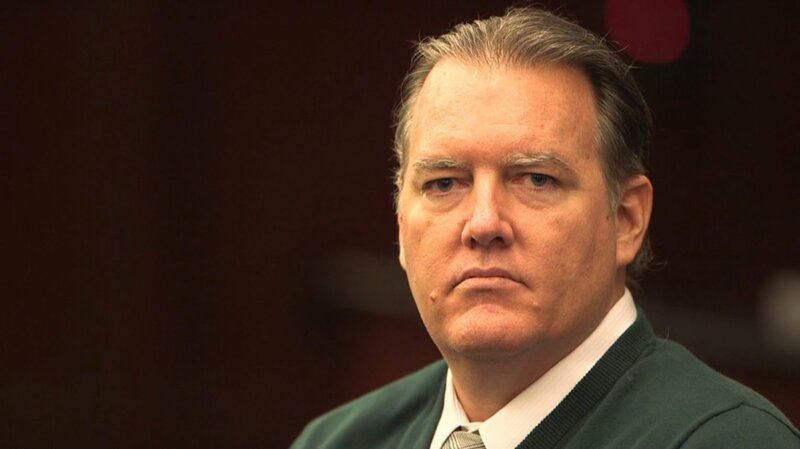 It follows the trial of Michael David Dunn, a 45-year-old software developer who was involved in an altercation with a group of black Jacksonville, Florida teens in which he fatally shot 17-year-old Jordan Davis. The November 23, 2012 slaying only added fuel to the public outcry fire as it marked the second high-profile case (the February shooting of Miami teen Trayvon Martin being the first) in which self-defense and bigotry created confused situations that both ended in tragedy. In the case of Davis, he and three friends were listening to rap at a fairly loud volume in the parking lot of a Gates gas station when Dunn approached and asked them to turn it down. The situation soon escalated as Dunn claimed that Davis began threatening his life and that he saw what appeared to be a barrel of a rifle or a large gun pointing out of one of their SUV’s windows. Dunn grabbed his pistol and fired ten shots at the red Dodge Durango, fearing for his fiancée’s life (she was in the convenience store and could have walked out at any moment). The boys left the gas station and quickly noticed Davis had in fact been hit three times. The film does not include any footage of the confrontation, but the scene is painted vividly thanks to the testimony of key witnesses as well as the defendant himself. Marc Silver brilliantly assembles footage of the ensuing and rather protracted court case that implicated Dunn in first-degree murder, with three counts of attempted murder and one count of firing into a vehicle tacked on for good measure. These four counts alone carry a sentence of 75 years (20 per attempted murder charge and 15 for firing into a vehicle). With a camera fixated on the witness stand, Silver uses these moments to color in the lines while he sketches out the shape with interviews with Davis’ parents as well as Jordan’s friends Tommie, Leland and Tevin. Once again I might be stating the obvious, but Ron and Lucia Davis appear visibly worn out from the opening shots, well before the trial gets under way. The documentary is very much of the moment, conscious of the urgency with which this family needs to find closure in this unimaginable situation. While the first trial doesn’t quite provide the ruling the Davis’ seek — that particular jury could not reach a verdict on the count of first-degree murder, though they found Dunn guilty on all others — they try again (in September) to find justice for Jordan. Meanwhile, a scene outside the court finds protestors gathering, pleading that the right decision be made. Indeed, an atmosphere of despair and sorrow hangs heavy over proceedings. If you have a pulse you will find certain revelations difficult to listen to, much less accept as fact. And though some parts of the film wade around in a fair amount of legalese and Silver dedicates at least half of his time within a court house where not much transpires other than cross-examinations, 3 1/2 Minutes often engages the adrenaline system. Given that we are only now two or three years removed from these incidents, there’s a great tension in watching the drama unfold. Was Dunn a racist man? His fiancée’s testimony is quite telling. Did Davis provoke him? Was there actually a weapon in their vehicle? What can the state of Florida do to un-muddy the waters when it comes to describing ‘stand-your-ground’ as it relates to self-defense laws? Wisely Silver allows the outside world to weigh in on the sociopolitical commentary: a variety of news sources, public officials and radio show hosts (and their guests) are interspersed throughout in measured soundbites that give significance and context to the potential verdict. Most voices are those of dissent, almost unanimously damning Dunn’s actions. What happens if he is found guilty? Or, what happens if he’s not? If he gets acquitted has the legal system yet again failed those who looked to it for some modicum of peace and resolution? If nothing else, the documentary is a barometer of the racial tensions that continue defining one of humanity’s great flaws. The senselessness of each violent act that ends up having tragic consequences is painful to recognize, but this is where we still are, apparently. 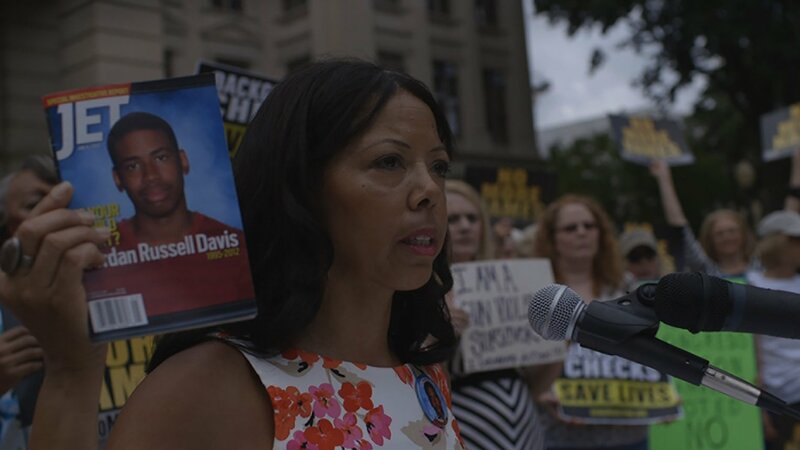 We’ve certainly had this conversation before in dramatic, fictional cinema but the pairing of trial footage with interviews concerning those closest to the victim lend a perspective that is simultaneously heartbreaking and powerful. The whole package amounts to essential viewing that will remain so years down the road. It’s an emotional scene, which might be too obvious of a statement to make, but then not mentioning it would largely ignore the art of this particular craft. The omnipresence of the camera perpetuates this feeling of privileged access — even though we have read these headlines and may have even seen it on the news (I haven’t, sorry to say, as these situations are becoming far too common and can often get lost in the media), we feel like we’re on the ground-floor of this process. Perhaps what 3 1/2 Minutes does even better than establishing the passage of time — shots of field reporters seconds before they go live to report on the case reveal fidgety people consumed by thought; court officers shuffling feet from having standing in one place for a lengthy period of time — is relaying the emotional and even physical toll these legal proceedings must take on those involved. Awarded a Special Jury Award at Sundance 2015, 3 1/2 Minutes directed by Marc Silver is available from today (2nd October) from Dogwoof. I really want to see this now. Excellent review!